It might be a rare Property Manager who is unfamiliar with the concept of the open office. According to an article in The Sydney Morning Herald (Nov. 19) – and probably about twelve dozen other news outlets in the last year or so – co-working office spaces are swiftly becoming the norm and replacing the old cubicle-of-death office layout. The shift to open offices may be a regrettable development for those of you who liked to sleep under your desk à la George Costanza. However, it’s apparently great for improving productivity and collaboration while reducing costs. Why costs? Because traditional offices under-utilize up to 60% of space in a typical workday. For Property Managers, the transition to open offices presents a new paradigm. The open office is a trend that began in start-ups and smaller offices, notably in the high-tech industry in California, whose workforce is by and large younger than other businesses. It moved quickly into other industries, though, and across geographical boundaries as its appeal became widespread. At this point, the open office concept is swiftly working its way across offices not just in Australia, where the article cited above comes from, but in Canada as well. In fact, a recent Globe and Mail article (Nov. 3) acknowledges that open offices or offices comprising both cubicles and open spaces are here to stay. Property Management and the Open Office Layout – so what? First of all, it’s arguable that some Property Managers don’t actually want their tenants moving to open office layouts, because the same number of employees need less space than in traditional, cubicle offices. This can mean downsizing when it comes to lease re-negotiation and that, of course, creates new space that must be filled. 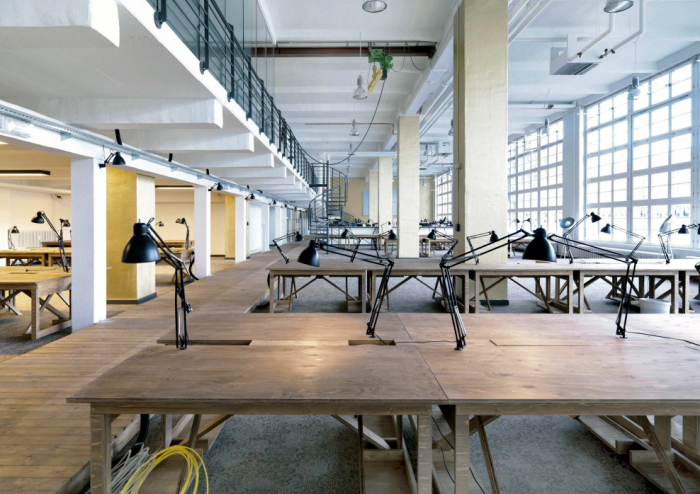 Second, a shift to the open office can cause headaches for the building requirements. For example, the transition to open office spaces from traditional cubicles can mean that the heating and cooling system in place no longer works as efficiently. As such, costly changes might be needed to amend the H-VAC system. This is a cost that would fall on the tenant, of course, if they want to go forward with it. But messing with the H-VAC in any building can lead to more issues than any one person might want to deal with. When it comes down to it, in most cases tenants can modify their office space as they see fit. They just have to make sure that their changes are within the bounds of their lease and they do not do irreversible damage to the property. We must ask, however, what Property Managers can do about it or, to a certain extent, what it has to do with us at all. This is where one of the basic tenets of Property Management comes into play. Arguably the most important aspect of Property Management is to maximize income over the economic life of the property on behalf of the property owners. That income includes net income and capital gains, yes, but the concept of “income” also covers amenities and enjoyment of real property. As such, while it is not up to us as Property Managers to implement change, it does fall on us to make the process of change as easy as possible. Enjoyment of property should ensure that tenants like their work space so much that it is in their best interest to re-sign leases when they are up for renegotiation. It should also make the property appealing to new tenants who may have their own ideas of what makes an office theirs. New and old tenants should be able to grasp, quickly, what options are available to them when considering a lease or when they want to make physical changes. Perhaps the best way of doing that is to have, at the ready, straightforward construction rules and regulations as well as pre-approved lists of Contractors, such as those we offer in Calgary. Having such a list at the ready can greatly speed up the process of change. Similarly, the process of approval for any design changes to an office space should be swift and efficient. It is thus incumbent upon the Property Manager to have staff or contractors available to review any new submissions that will alter the built environment. As property managers, we have to adapt to the changing trends driving office leasing. As such, let us embrace this new paradigm in order to stay relevant in this new changing era of a millennial workforce and business uncertainty. Let us welcome the open office with open arms.